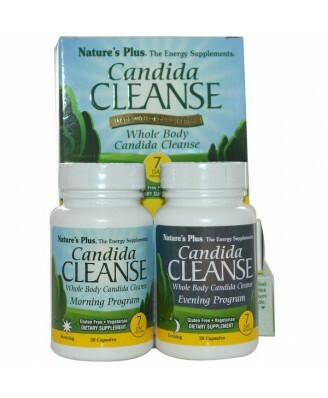 Nature's Plus Candida Cleanse is a whole-body candida cleanse, uniting powerful probiotics, organic herbs and whole-food-source vitamins and minerals for systemic benefits. 1 Morning Program: Pullulan prebiotic polysaccharides (from aureobasidium pullulans) organic brown rice syrup solids, organic maltodextrin, organic carnauba wax. Vegetarian. Gluten Free. Free from artificial colors and preservatives. Free from the common allergens yeast, wheat, soy and milk. 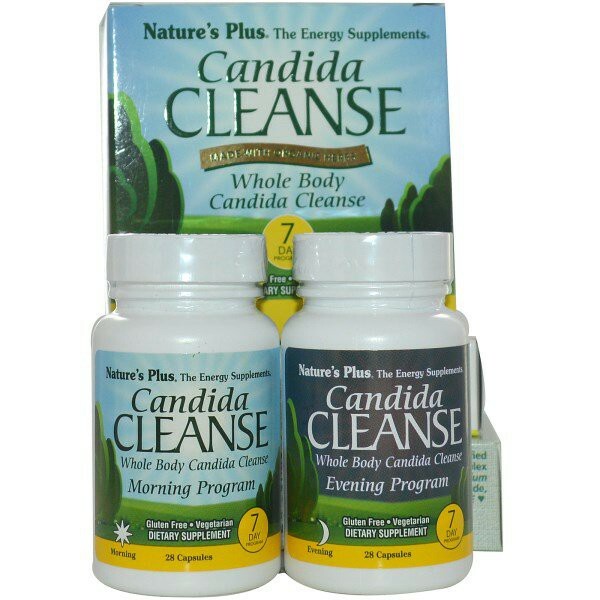 Nature's Plus Candida Cleanse is a whole-body candida cleanse, uniting powerful probiotics, organic herbs and whole-food-source vitamins and minerals. 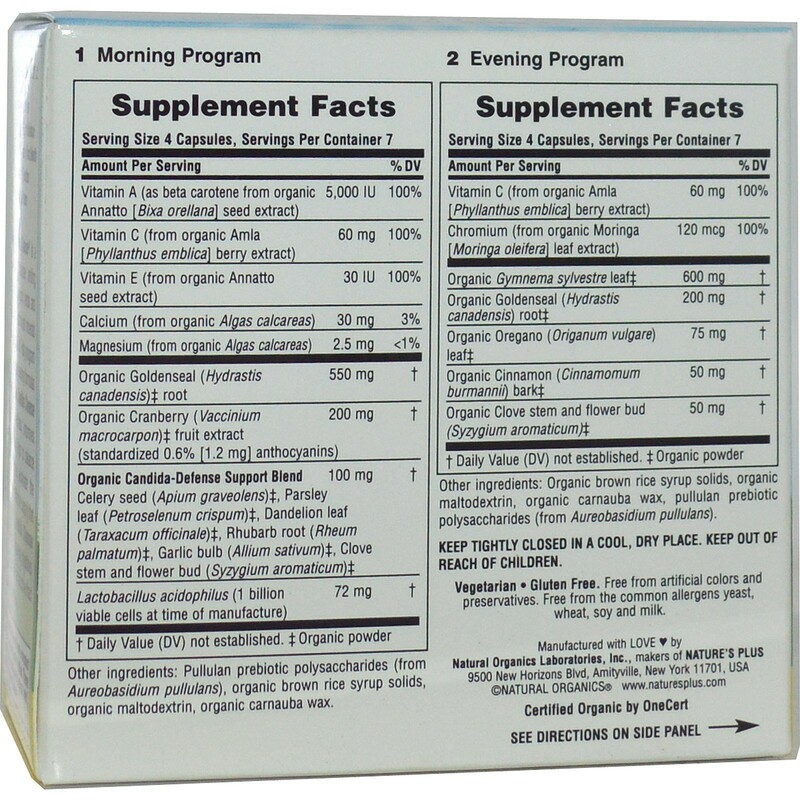 This 7-day program consists of morning and evening formulas in convenient capsules. 1.Morning Program: Directions: Take 4 capsules each morning. 2.Evening Program: Directions: Take 4 capsules each evening. Keep tightly closed in a cool, dry place. Keep out of reach of children. Notice: This product contains rhubarb. Do not use if you have or develop diarrhea, loose stools, or abdominal pain because rhubarb may worsen these conditions. Read and follow directions carefully. Do not use these products if you are pregnant or nursing. Consult your health care practitioner before using this or any other cleansing product if you are trying to become pregnant, taking medication or have a medical condition. Not for prolonged use. Do not exceed recommended serving.